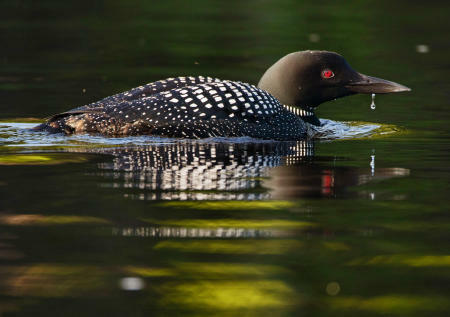 A common loon swims in the West Branch of the Penobscot near Baxter Park in Maine. 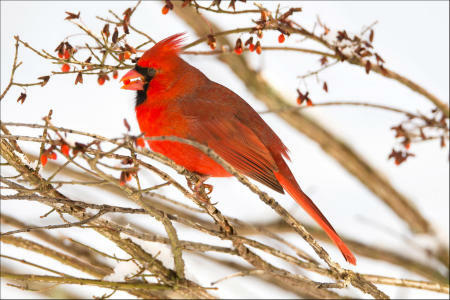 A male cardinal eats berries from a bush on a winter morning in Vermont. 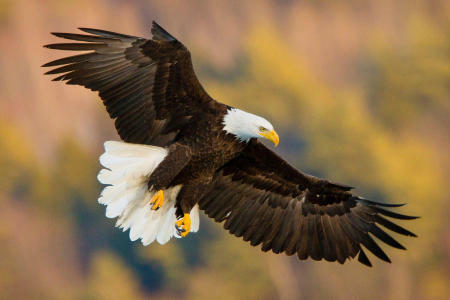 An American bald eagle descends towards the ice of a central Maine lake. 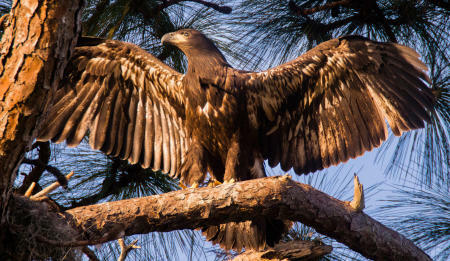 A fledgling bald eagle prepares to fly for the first time, near the nest on Florida's gulf coast. 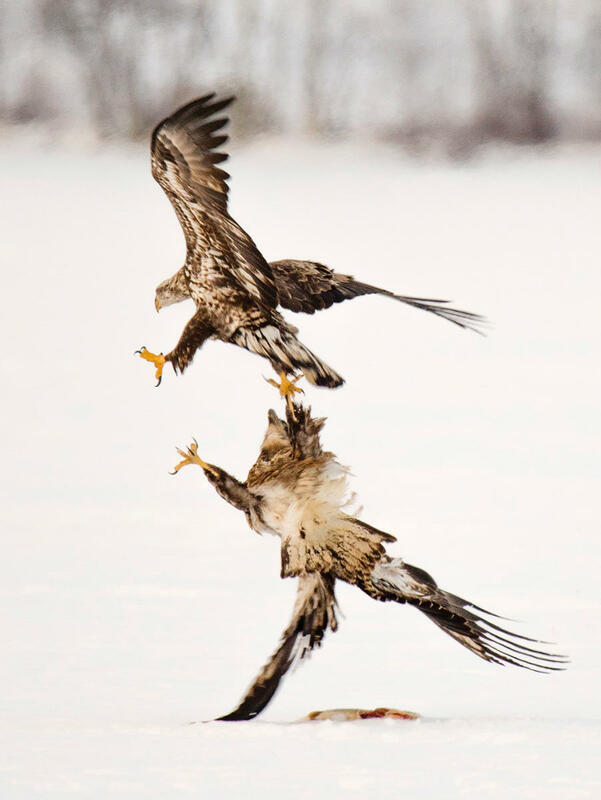 An immature bald eagle fends off a rival while protecting a fish on a frozen lake in Maine. 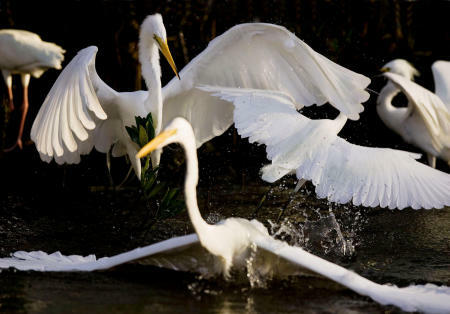 Egrets compete for space in the mangrove waters on Sanibel Island, Florida. 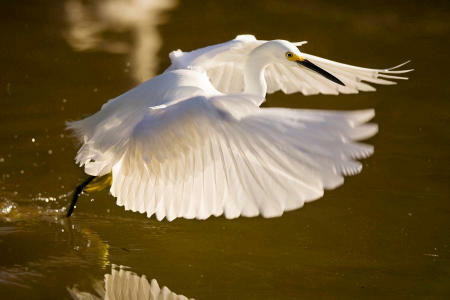 A snowy egret glides over the water on Sanibel Island, Florida. 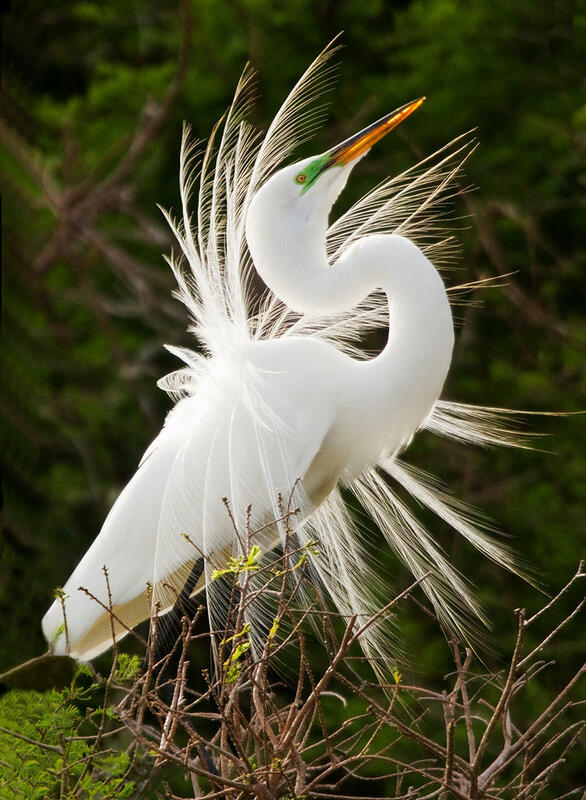 A male great egret displays its mating season plumage near the nest on Florida's gulf coast. 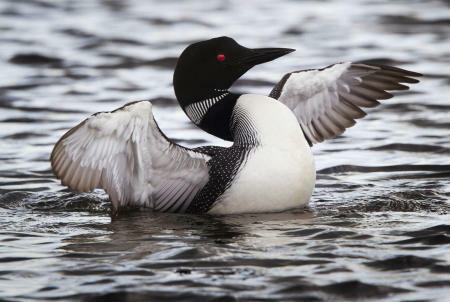 A common loon flaps its wings on the water in Rangeley Lake in Maine. 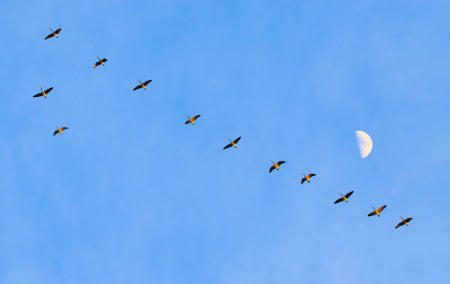 A skein of Canada geese fly north past the rising half moon in Maine. 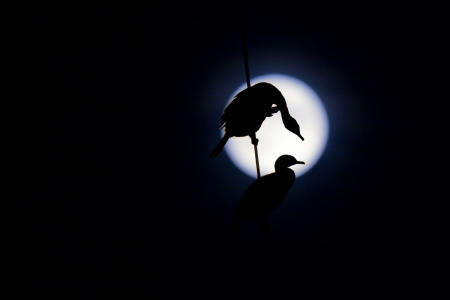 Twin crested cormorants, silhouetted against the full moon, roost on power lines in Maine. 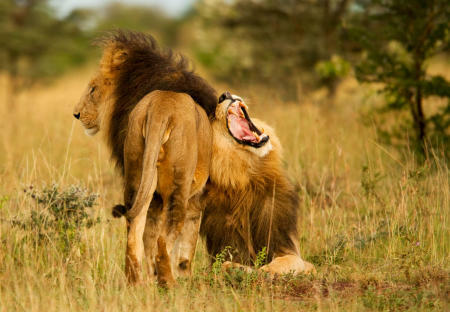 A male lion lets out a robust yawn while resting with a another male on Kenya's Masai Mara. 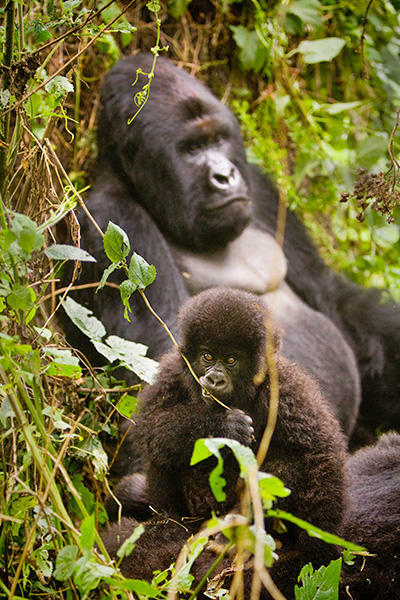 A juvenile mountain gorilla feeds on vegetation, as the silverback relaxes in the wild of the DRC in Africa. 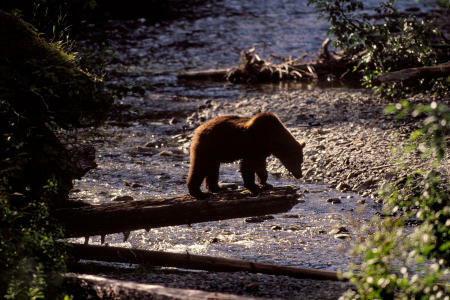 A brown bear looks for salmon, from an overhanging tree trunk on Admiralty Island in Alaska. 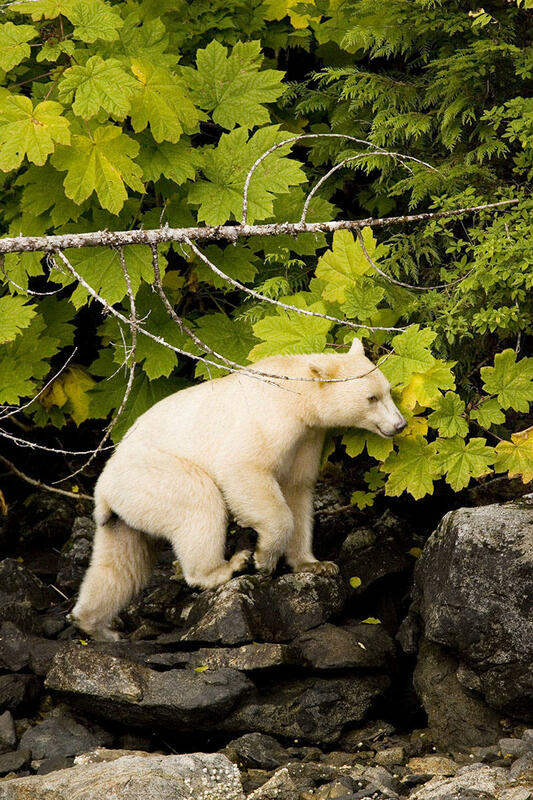 A spirit bear, an often white subspecies of the American black bear, walks along the coast in British Columbia. 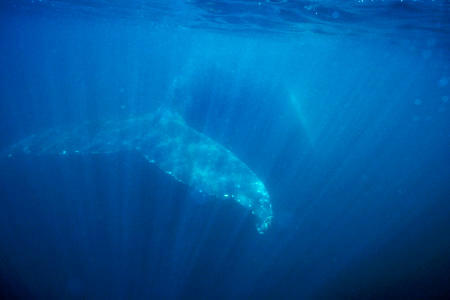 A humpback whale swims in the Gulf of Maine Atlantic waters. 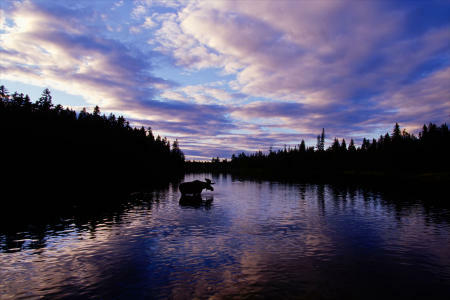 A bull moose feeds in the Allagash River in Maine. 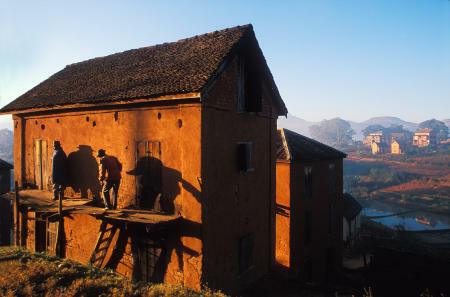 Betsileo villagers, on Madagascar's High Plateau, stand on the porch outside their house at sun rise. Mt. 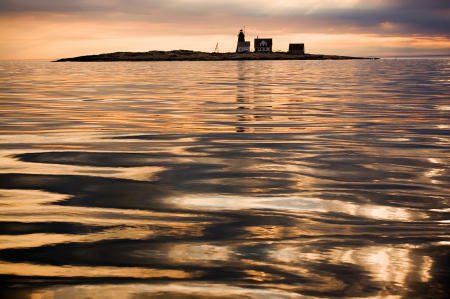 Desert Island, 25 miles off the Maine coast, protrudes from the Atlantic like a surfaced submarine. Images of Old Glory are refracted through tiny raindrops on a car's windshield. An umbrella-toting pedestrian is reflected in the rain-covered hood of his car. The Harvest Moon rises behind the beacon of Nubble Light in Cape Neddick, Maine. Midnight sun illuminates a daisy bush, known in Finnish as "Paivan Kakkara", in the country's central region. Bright yellow fields of rypsi, from which butter and oil are derived, and magenta horsma, contrast a vibrant cloud-highlighted sky in central Finland. Cobblestone streets add to the old-world feeling in Tallinn, Estonia's Old Town district. A house on a lower Connecticut River tributary can be seen through vibrant fall foliage. 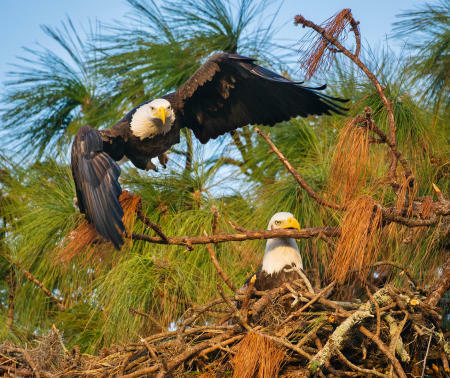 The "Big House", the traditional gathering place of the Kitasoo and Xai'xais people, is prominently positioned on the point of Swindle Island in the coastal fiords of British Columbia. The full moon rises behind Heublein Tower, on Talcott Mountain in Avon, Connecticut.